2016 has been a very fruitful year for the development of solar flying. Just a few months ago, Switzerland’s solar-powered airplane, Solar Impulse, had completed a 16-month non-fuel global flight. 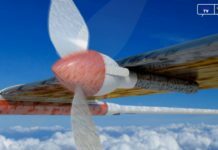 And the Korea Aerospace Research Institute (KARI) announced on August 25 that Korea’s first high-altitude solar unmanned aerial vehicle (EAV-3) had successfully finished a 90-minute flight. Now an engineering team in the University of Maryland has made a significant breakthrough – launched the world’s first solar-powered helicopter and finished its first flight. Though this solar-powered helicopter, called Solar Gamera, can only fly for a short distance, but its researchers said that it is already a historical milestone whether in the green aviation field or in the spiral-wing flying field. And it is a matter of time to achieve a longer flight. Actually the size of Solar Gamera is not small, which occupies an area of around 100 square feet. 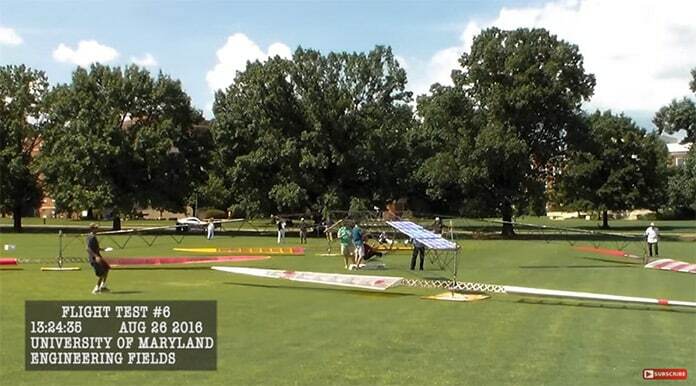 The team in the University of Maryland informed that at present Solar Gamera has only completed two successful flights, with a duration of 9 seconds and an off-ground height of about one foot. Each of the small solar panels used on the helicopter is made of monocrystalline silicon solar cells. These solar cells were purchased separately and attached to the baseplate made of foam materials, then they were assembled into big solar panels to provide power for Solar Gamera. During the flight test, Michelle Mahon majoring in Materials Science seated in Solar Gamera and was raised up. The other engineers in the team operated beside the helicopter and helped Solar Gamera fly back to the ground safely. They said as the work progresses, the performance of this solar-powered helicopter will be further enhanced; but it’s not easy to achieve a long-distance flight in the short term. The good news is with the advance in the electronic equipment in Solar Gamera, it’ll be easier to control, and completing a flight time exceeds 9 seconds would not be so hard. Moreover, the big size and the relatively low reliability of utilizing solar power for the helicopter are facing challenges. 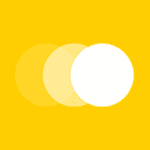 In the future it also requires a variety of cross-domain research to conquer these challenges. Solar Impulse 2 completed its 17-leg 25,000-mile round-the-world journey and arrived in Abu Dhabi in July. You can relive the flight here. On August 12, Korea’s first high-altitude solar unmanned aerial vehicle (EAV-3) had successfully finished a flight of 90 minutes in the stratosphere that 18.5 kilometers high.